Today I've got a unique and easy way to transform your projects! I like to call it… divided panels. 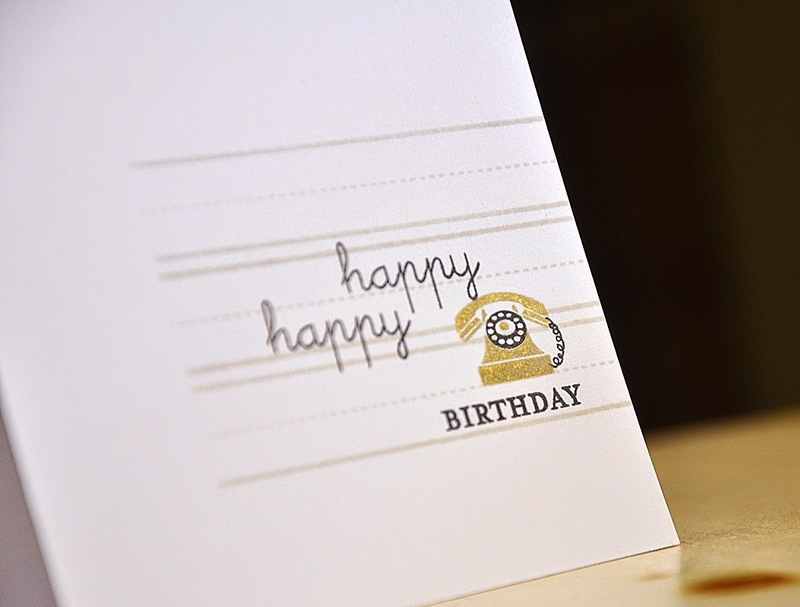 This technique involves slicing right through your hand stamped focal points, but don’t worry! 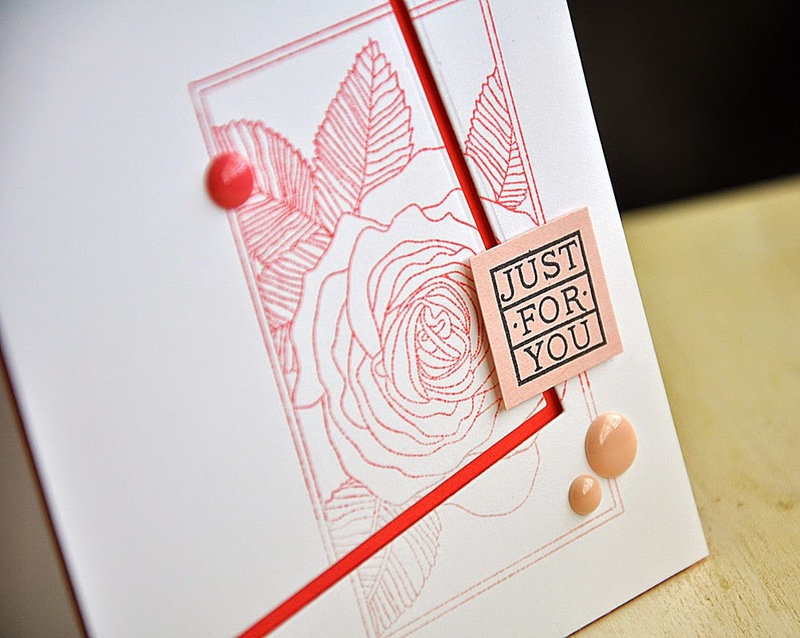 These steps make it possible to incorporate a pop of color and/or a sentiment in a cool and eye catching way that won't ruin your beautiful stamping job. First up, the easiest version. 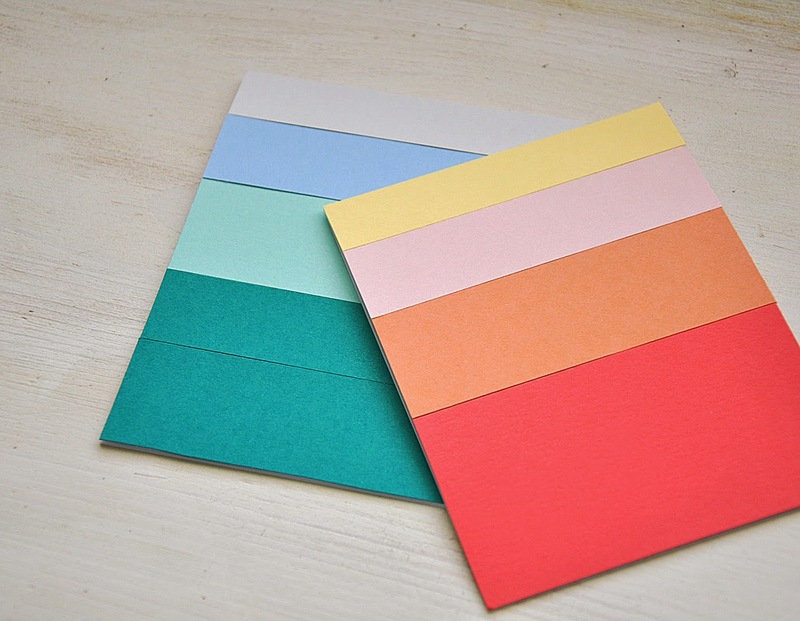 All you need is cardstock, stamps, ink and a paper trimmer. It all begins by stamping a focal point of your choice. 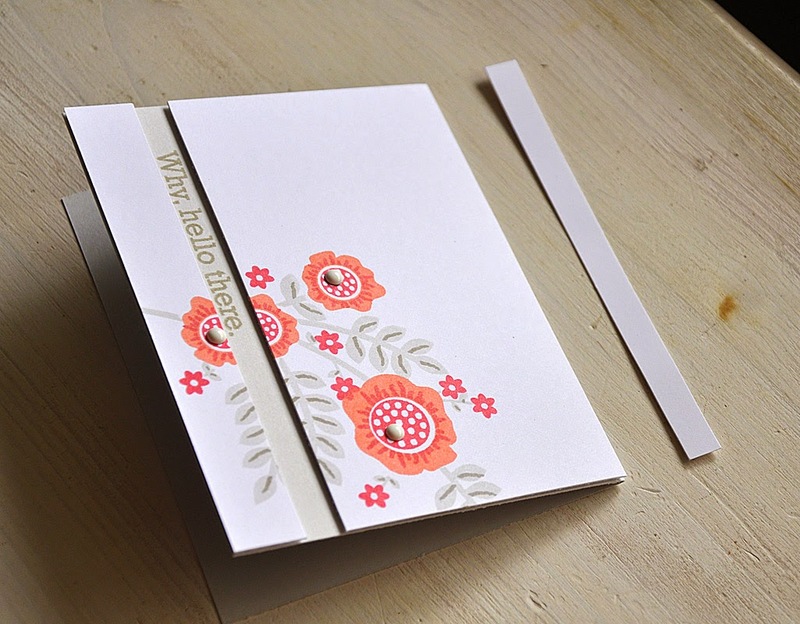 I chose to work with the floral images from the Bold Bouquet Anniversary stamp set. 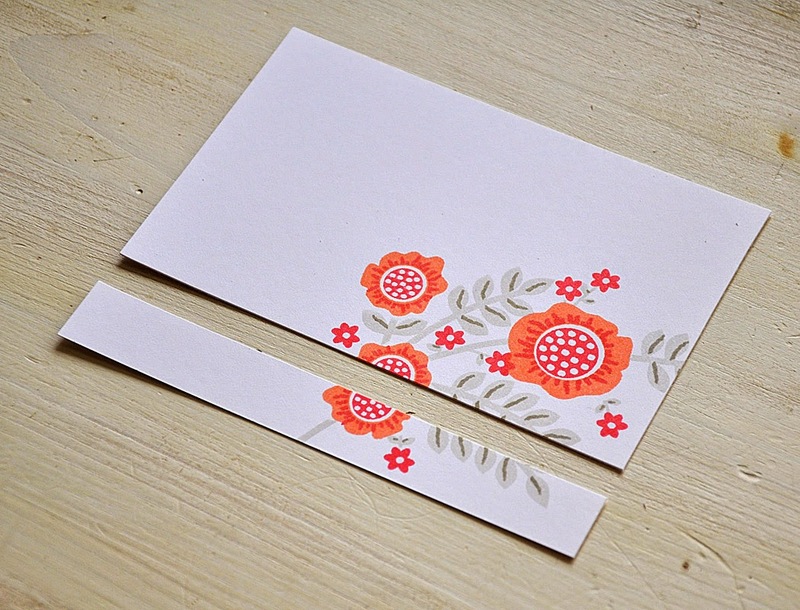 Once done simply cut the stamped panel into two pieces. 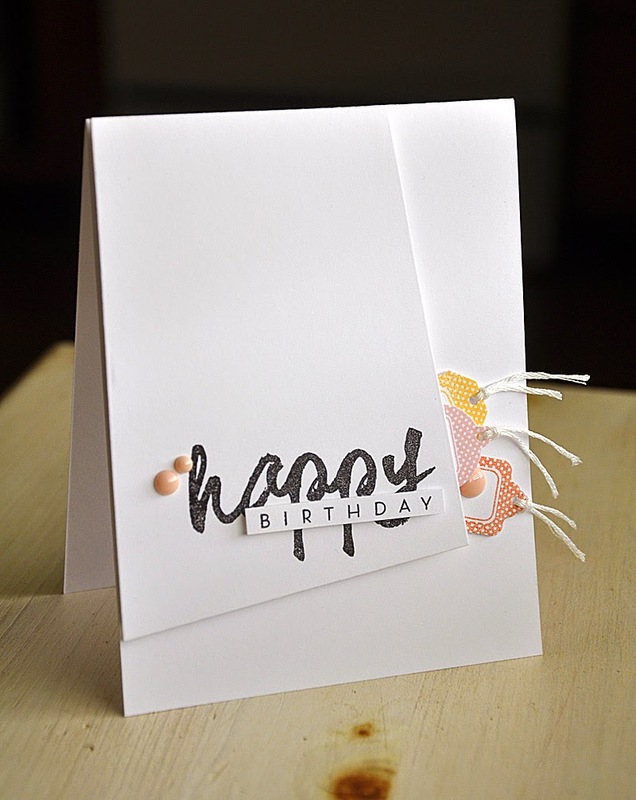 Then attached both portions to a card base (preferably one folded from colored cardstock, it will stand out a bit more this way) leaving enough room for a sentiment. I chose to work with dimensional adhesive here. Once adhered into place simply trim off the excess. 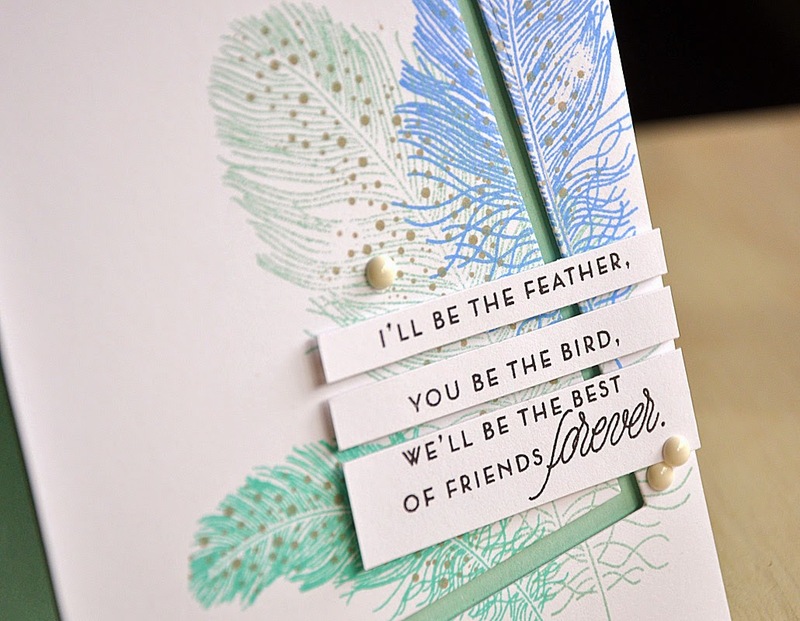 Here the sentiment is stamped onto soft stone cardstock and nestled neatly between the two panels. 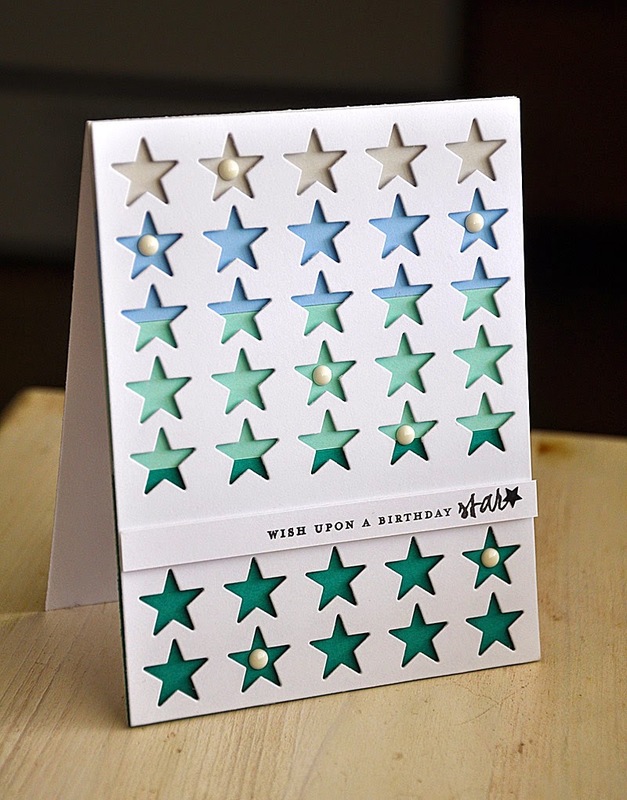 Another option would be to select a bolder color for your card base and then stamp your sentiment onto either the top or bottom panel. This look is a bit more involved, it requires the use of the Tipped Tops die collection. First up, stamp your focal point. Here I chose to work with Feather Finery. Temporarily attached the die into place (I'm working with the largest one in the die collection) and cut. 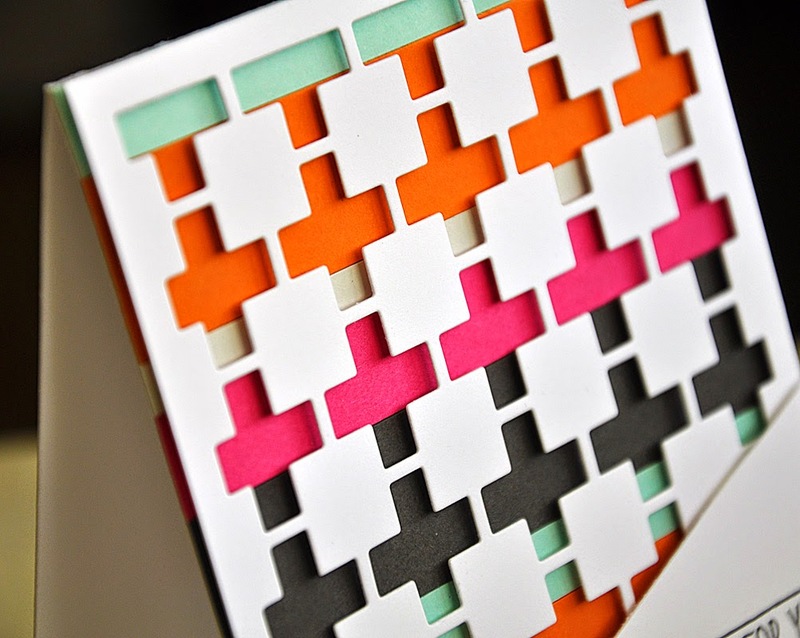 Chose a card base folded from a color that coordinates and attach both divided panels into place leaving a slight gap. Carefully trim off the excess by hand. So what do you think?! This is definitely an unexpected touch that's sure to be noticed. Well, that's it from me today. I hope you too will give your projects this very treatment. Have fun! Simply Framed by Nichole Heady. 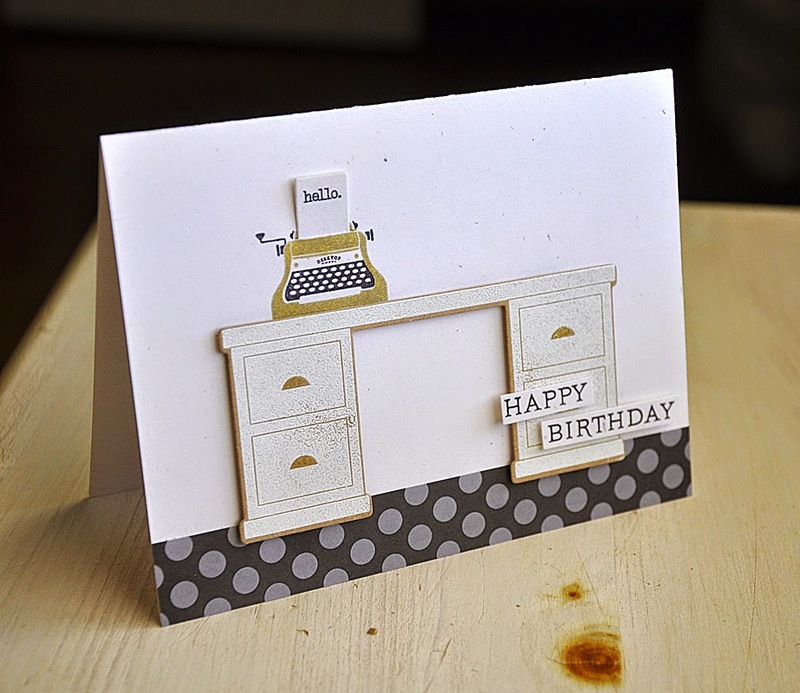 Totally inspired by this card made by me previously (fourth card down). 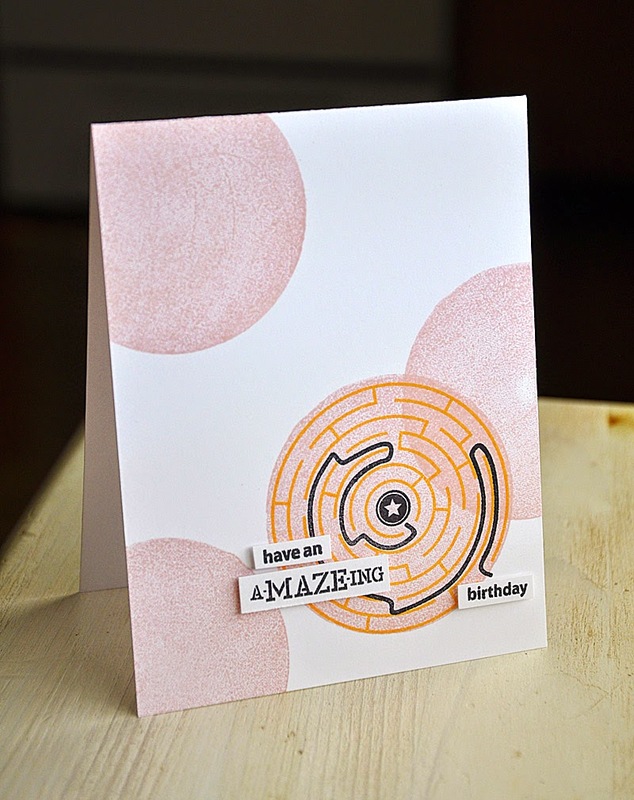 The A-Mazing Stamp Set by Erin Lincoln. 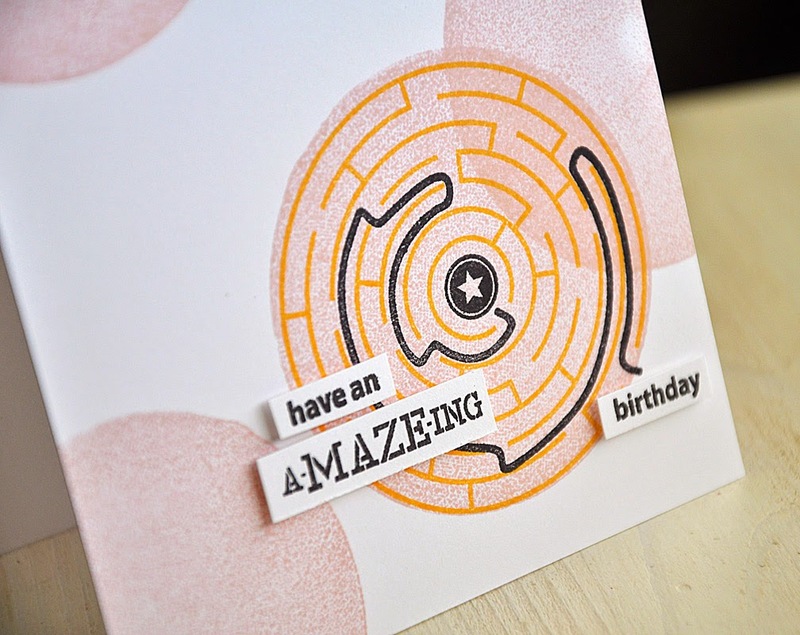 These large solid circles were creating by using the reverse side of the round maze stamp. The star circle is from Initial Thoughts by Nichole Heady. Botanical Blocks by Nichole Heady. 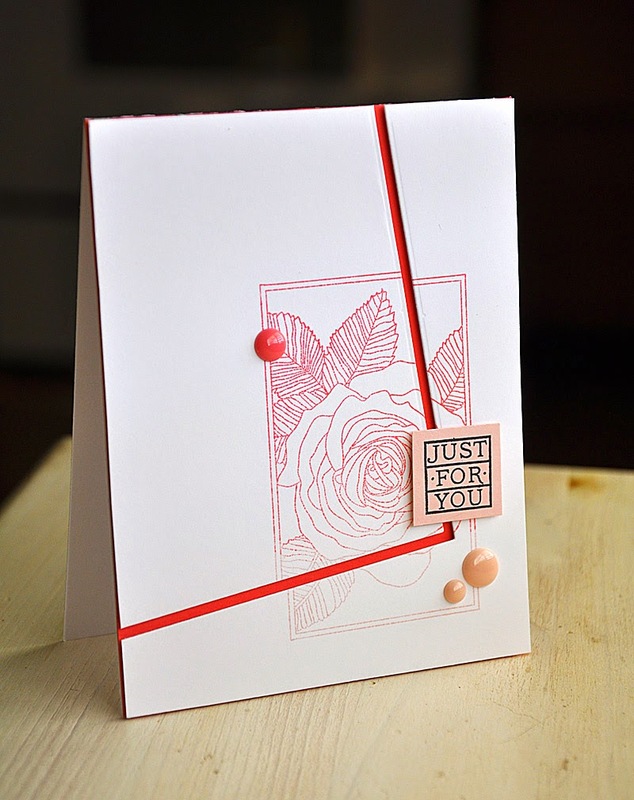 The botanical rose block was inked in both berry sorbet and sweet blush and then the cardstock panel was divided using the medium sized Tipped Tops die. Phrase Play #3 by Nichole. 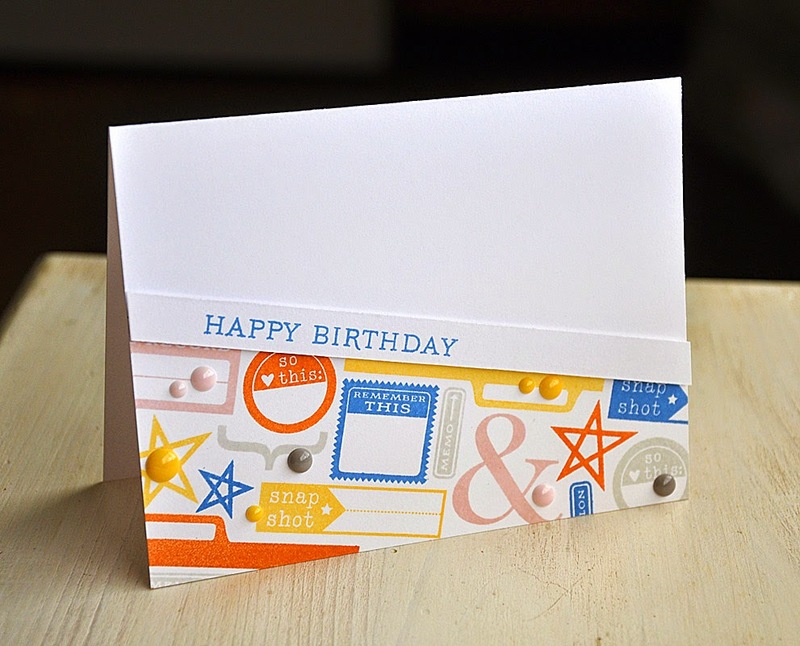 After trimming off the bottom edge of the phrase play "ticket" I attached it to the bottom edge of the card front using dimensional adhesive (just along the outer edges) to create a pocket. 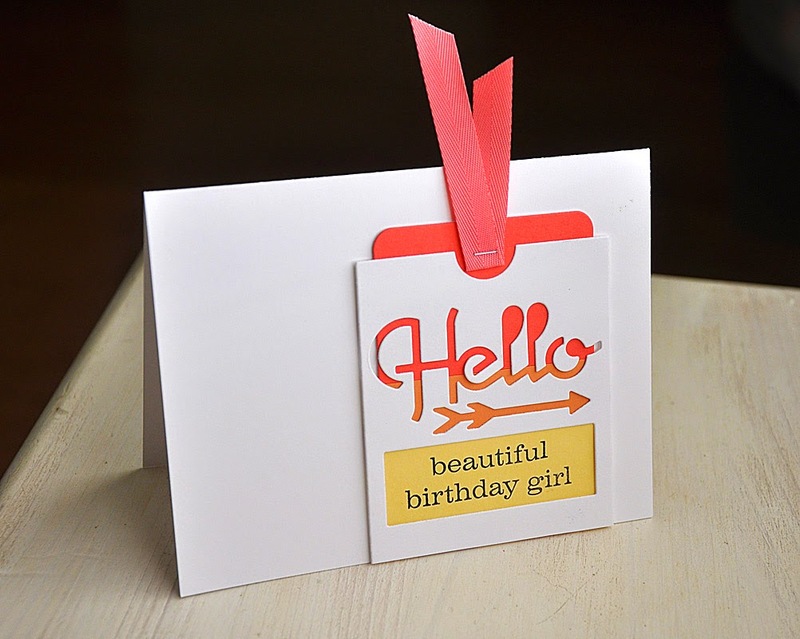 Here's a shot at the color-blocked tag, it was die cut using the Simply Framed die. 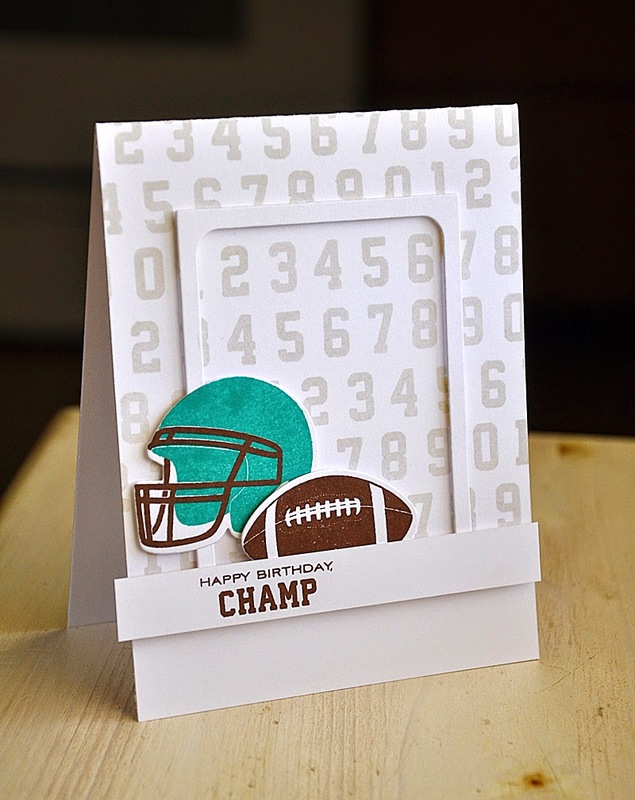 Football Frenzy + Additions by Lizzie Jones. 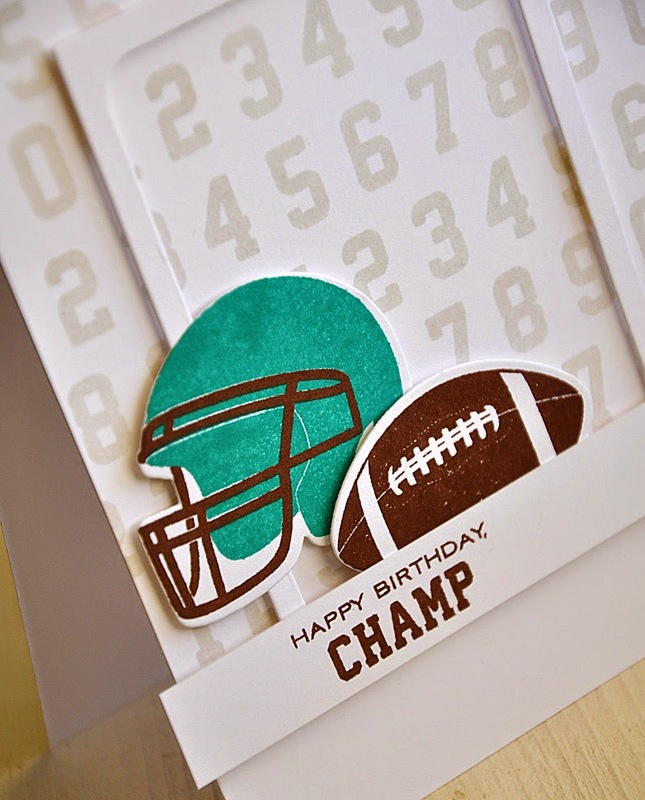 The background numbers were stamped in soft stone and the helmet was stamped in tropical teal and dark chocolate. Monthly Moments: April Collection by Heather Nichols. 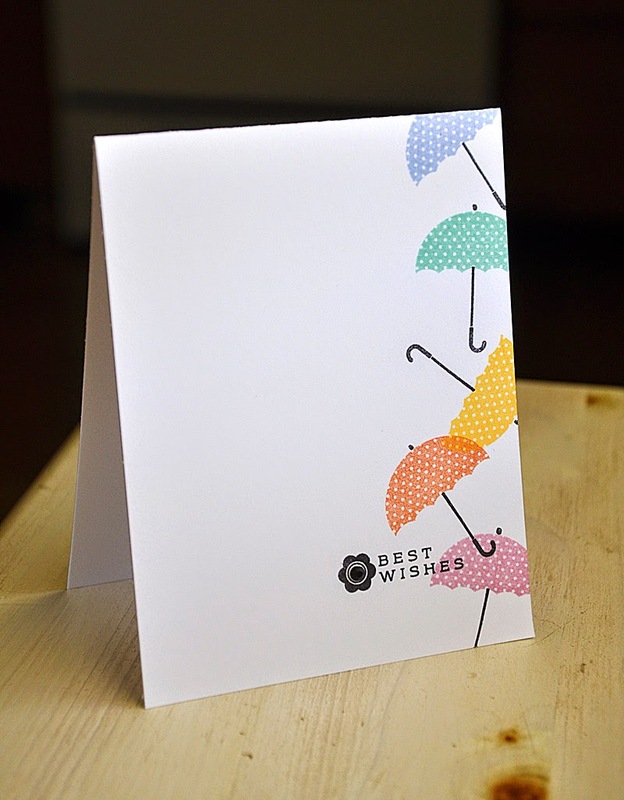 Stamped a rainbow border of tumbling umbrellas and finished the card off with a sentiment and flower from Initial Thoughts by Nichole Heady. 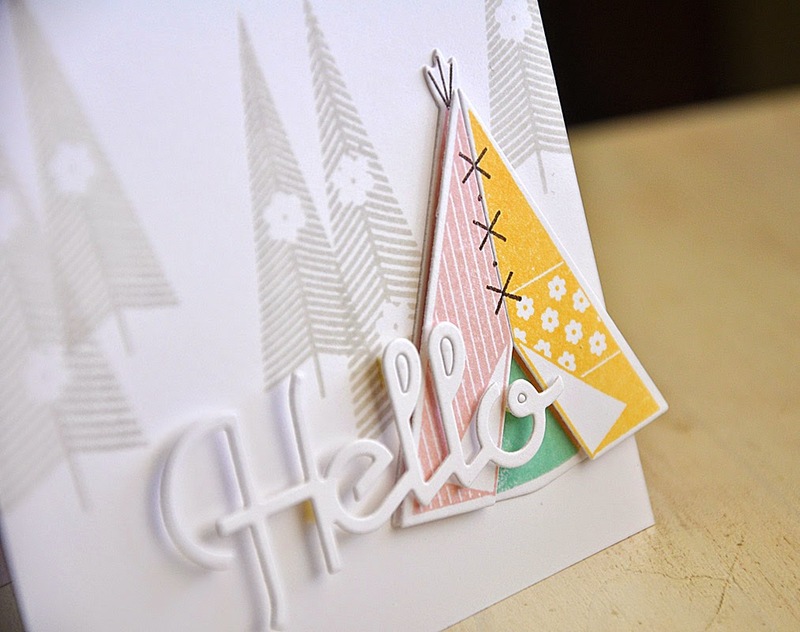 Teepee Time by Melissa Bickford. 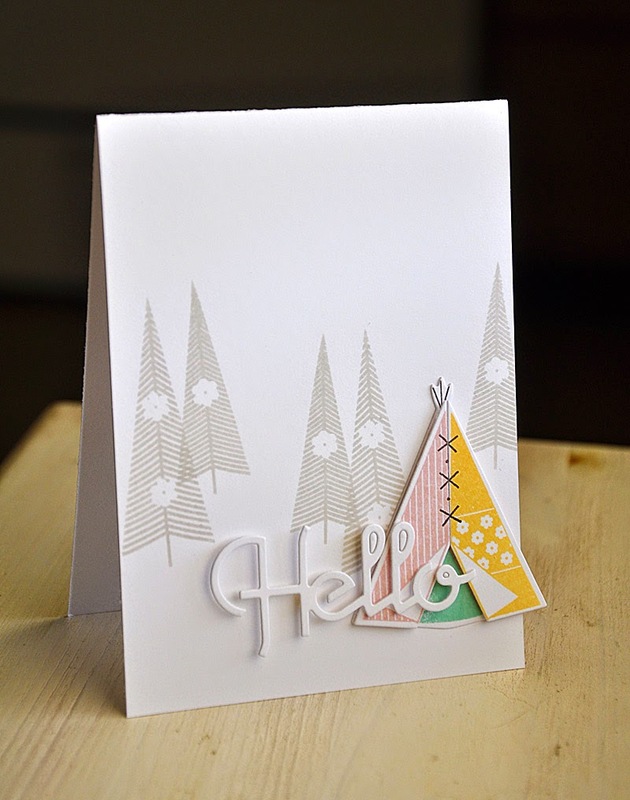 Stamped a soft background of trees in soft stone and allowed the teepee to pop by stamping it in harvest gold, sweet blush and aqua mist. 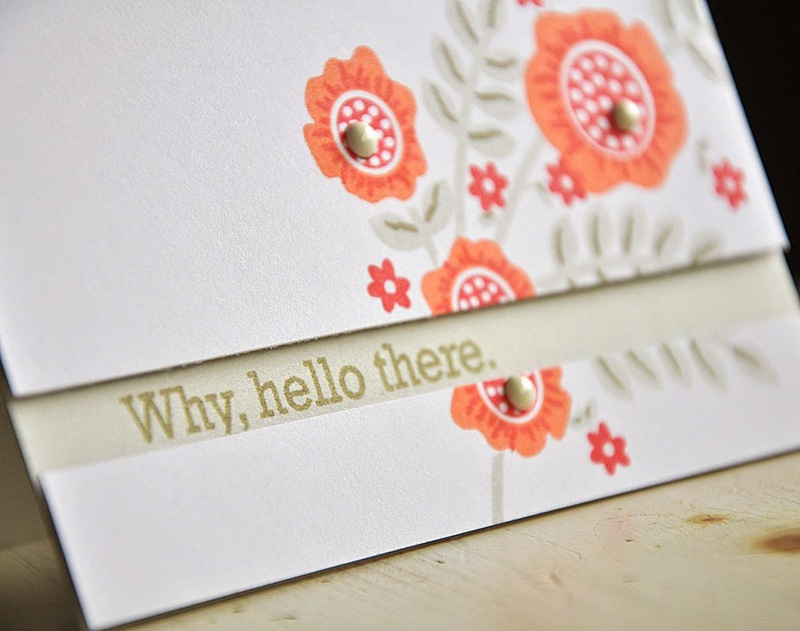 Finished the card off with a die cut "Hello" from the Phrase Play #3 die cut. 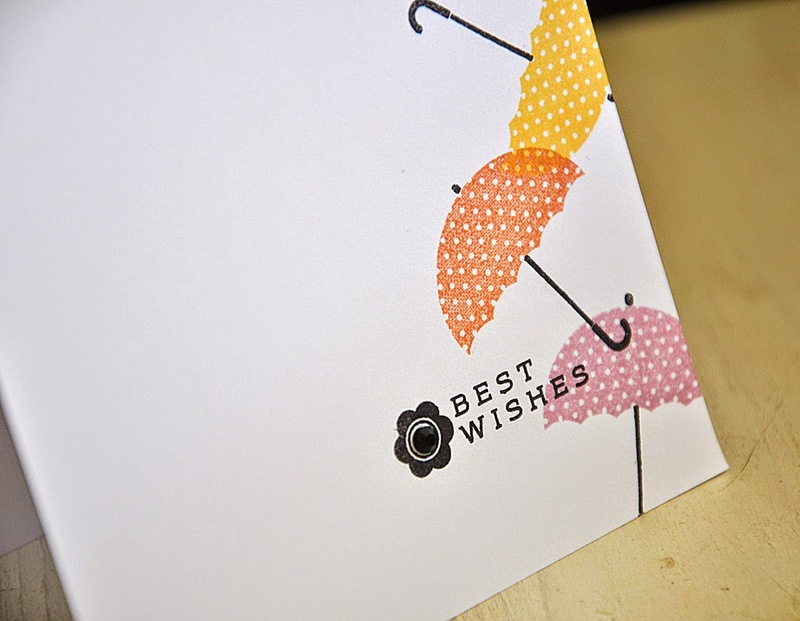 Welcome to the final day of the Papertrey Ink April countdown and the second design team group post day. Today's group post is focused on the new set Desktop Design. 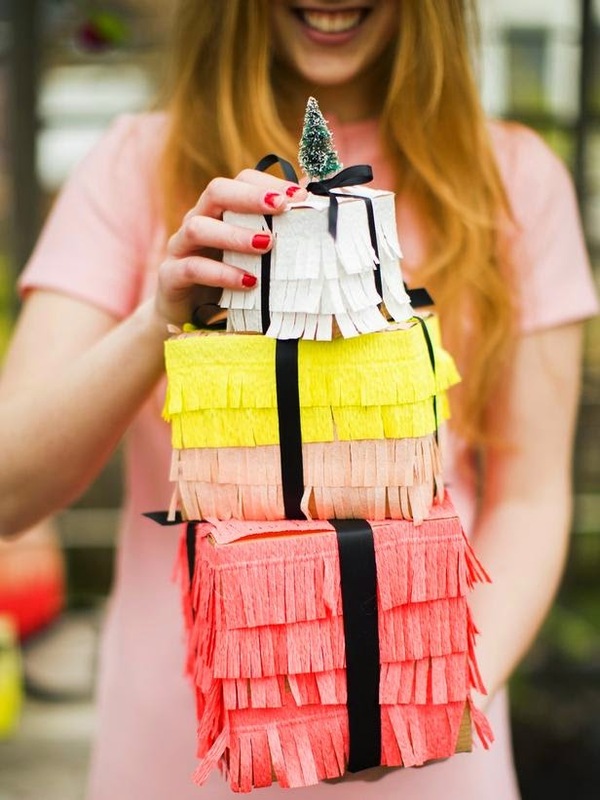 Nichole Heady has done a stellar job with this unique idea! It's been fun working with this set and coming up with two card designs, one simple and one complicated. I've also challenged myself to incorporate both a traditional and non-traditional application into both. Here's a happy duo. I stuck with an elegant color combo of gold, true black, smokey shadow and soft stone. First up, a simple design featuring a unique use for the school paper lines. I stamped them in soft stone as a base to help ground the telephone as well as the sentiment. I just love the touch of gold for the phone, kind of gives it a more realistic look. This next one, even though still simple, features a few more touches that add to the complexity of this card. I've also used the desk here for its traditional purpose. 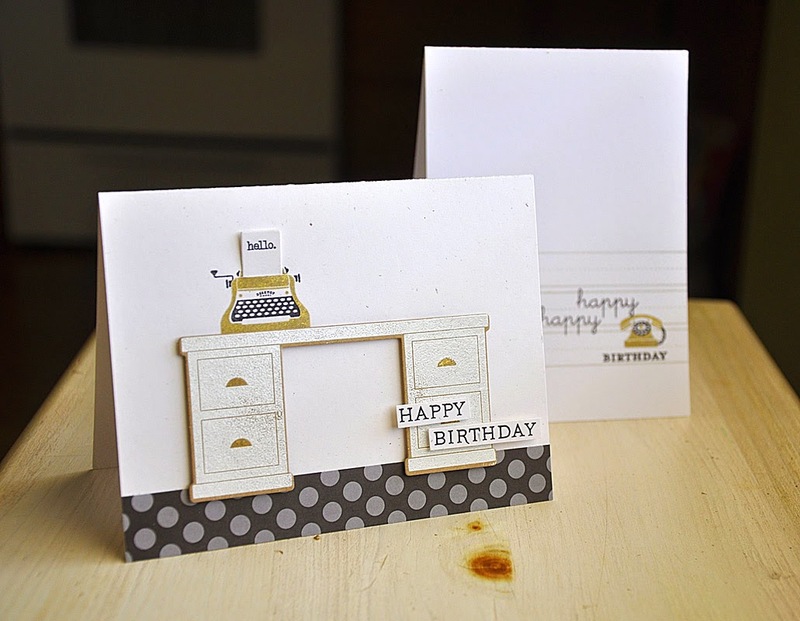 The desk was heat embossed in white onto a craft paper die cut. 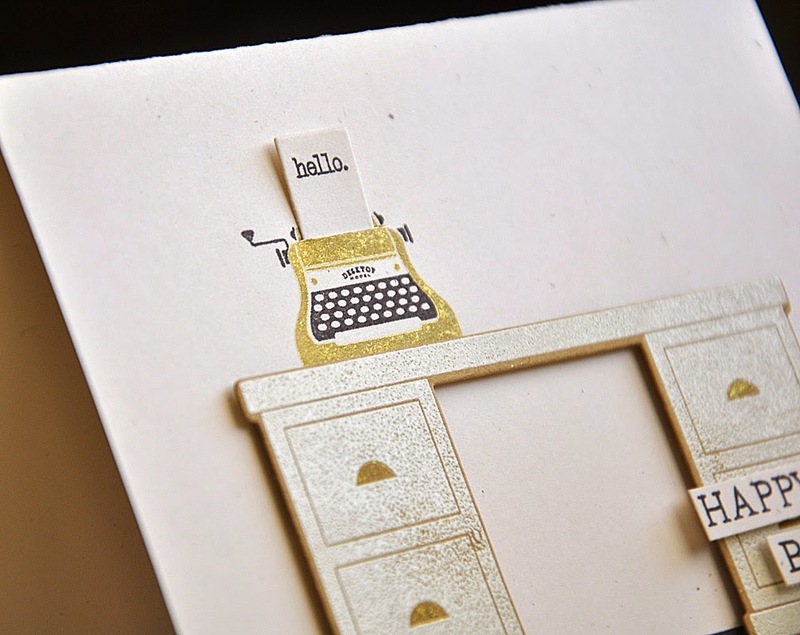 A touch of class was added by pulling out the gold ink again for the typewriter and desk draw pulls. Well, that's all I've got for you today. Just remember... everything you've seen peek of today will be available for purchase through Papertrey Ink, beginning April 15th. 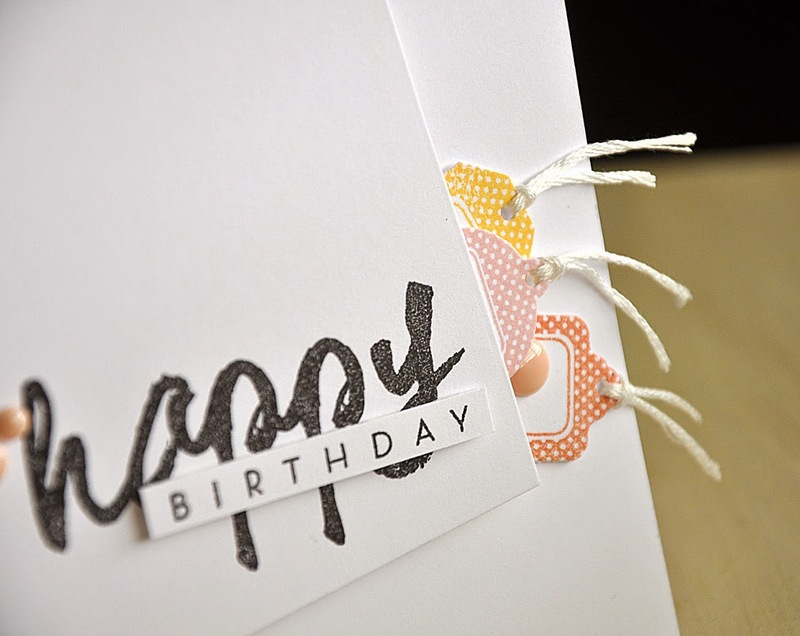 Hello and welcome to the third day of the Papertrey Ink April countdown and the first Design Team group post! 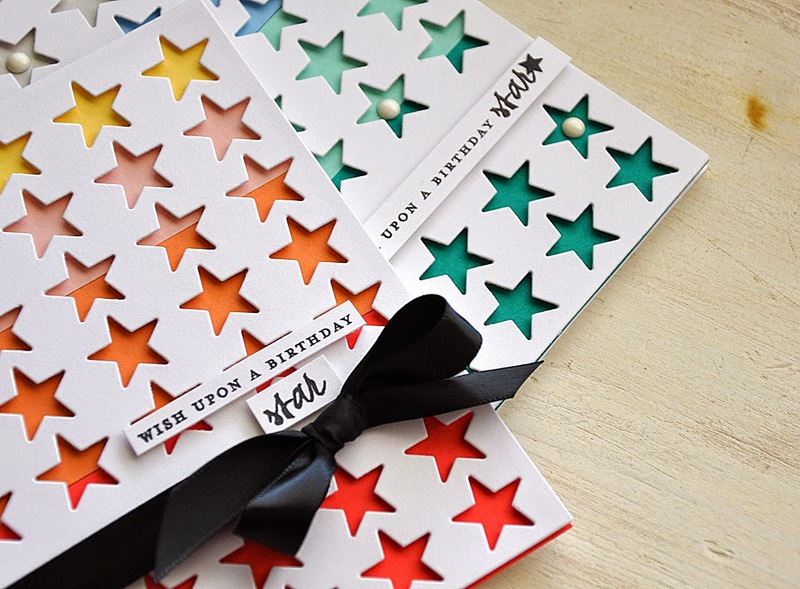 Today's group post is all about showcasing the new Simple Stars stamp set and coordinating cover plate die. Our challenge today is to create two projects, one feminine and one masculine, using color combo inspiration found online. Two identical projects except for the changing out of colors. First up, the feminine version. Inspiration photo found here. 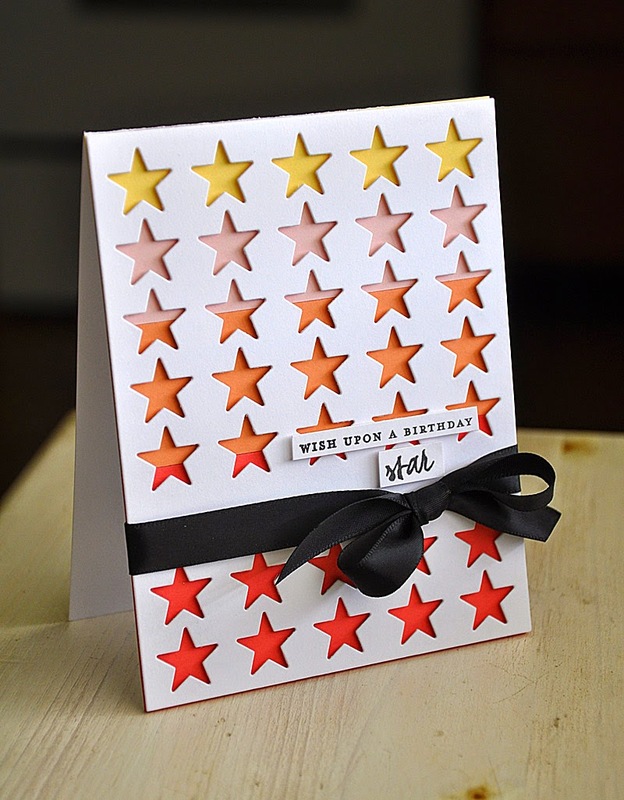 This design of today's projects focuses on the Cover Plate: Stars die and is accented with a single sentiment from the Simple Stars stamp set. And begun with color-blocked backgrounds created using strips of colored cardstock, trimmed to varying sizes, and attached to a card base. Color combo inspired by the inspiration photo above... berry sorbet, melon berry, sweet blush and harvest gold. 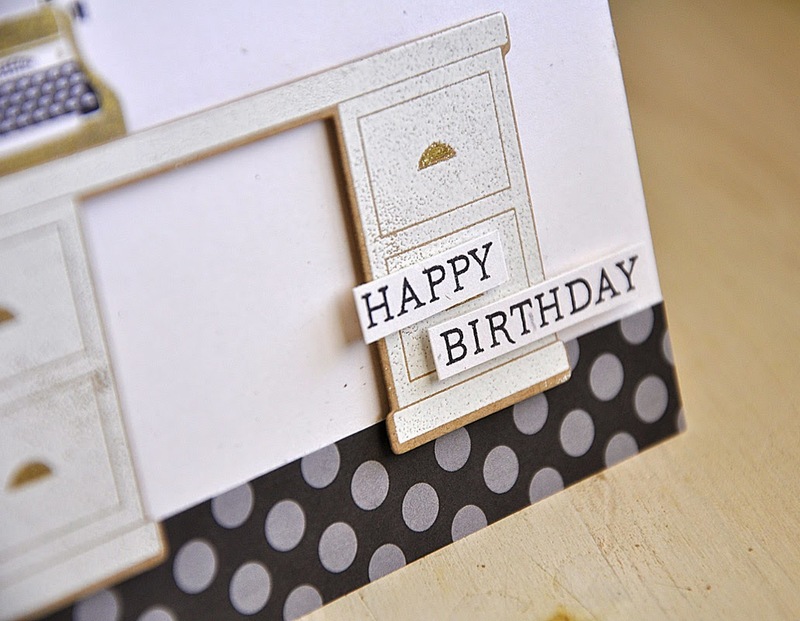 A little touch of black ribbon and a sentiment finished the card off perfectly. The masculine inspiration piece can be found here. 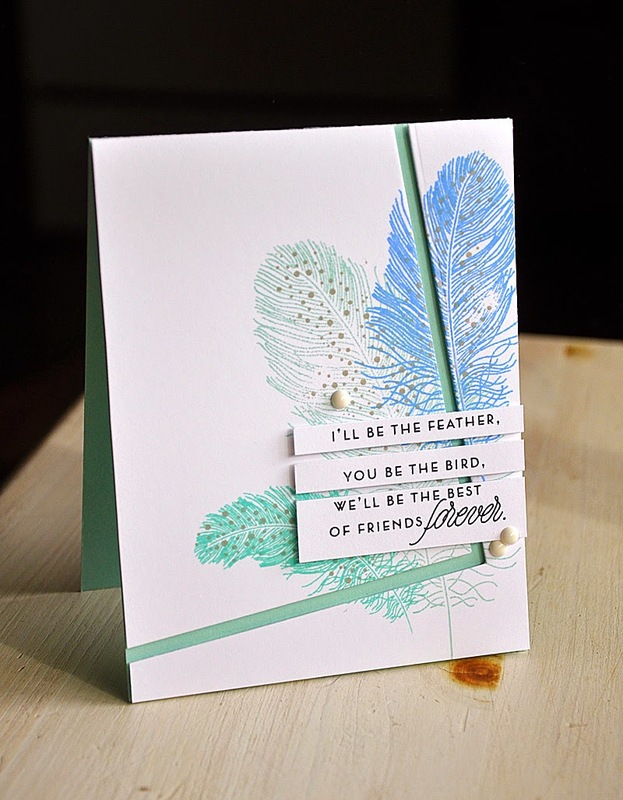 I was inspired to use a color combo of... tropical teal, aqua mist, spring rain and soft stone. 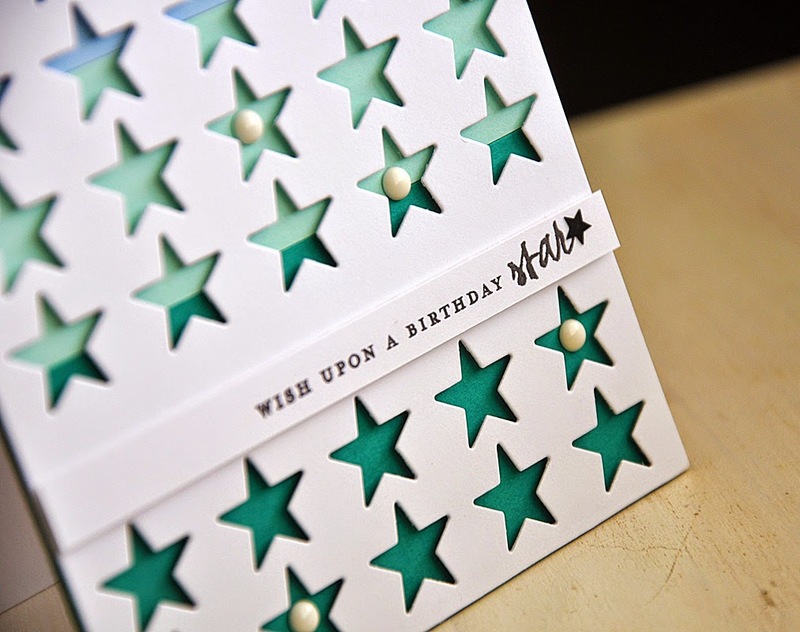 This masculine version was finished off nicely with a touch of white enamel dots and a sentiment strip accented with a tiny black star. Well, that concludes my look at Simple Stars. 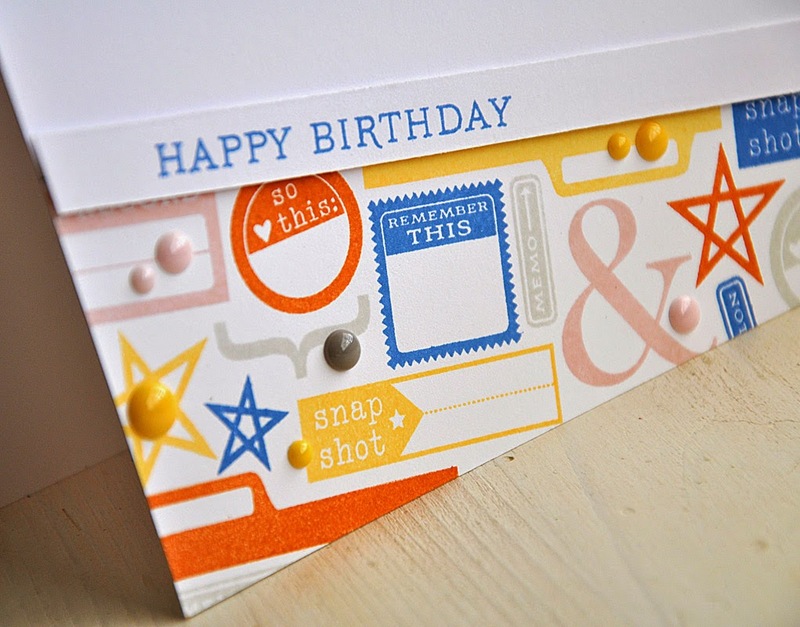 Just remember... this stamp set and die will be available for purchase through Papertrey Ink, beginning April 15th. Hi there! 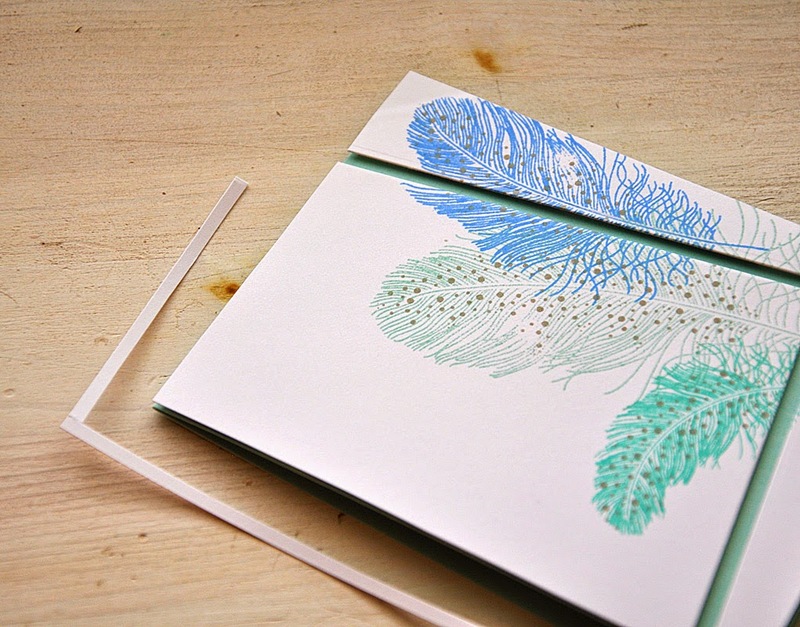 Welcome to day two of the April Papertrey Ink countdown. 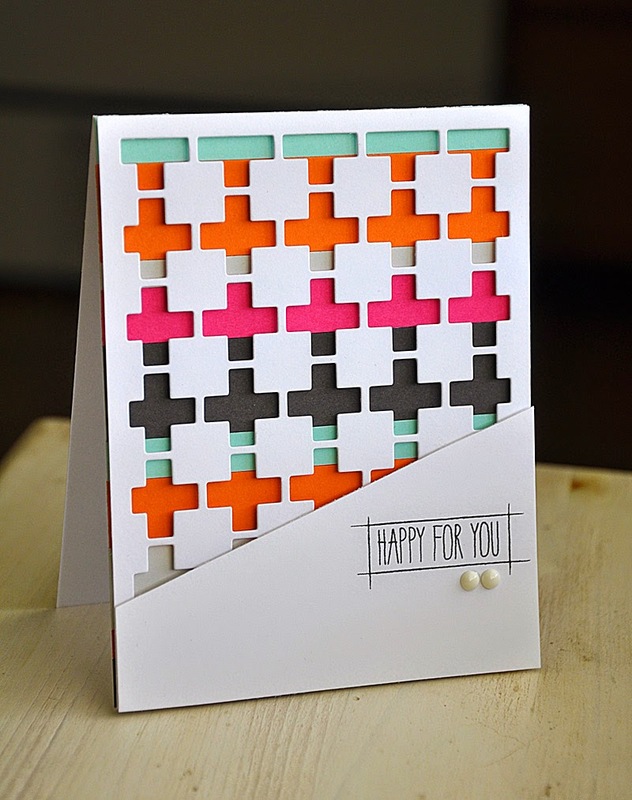 I'm here today to share a few samples using one of this months new sets and its coordinating die... Modern Cross Quilt and Cover Plate Die (designed by Lexi Daly). This stylish mini set features a trendy shape in a fun assortment of patterns. 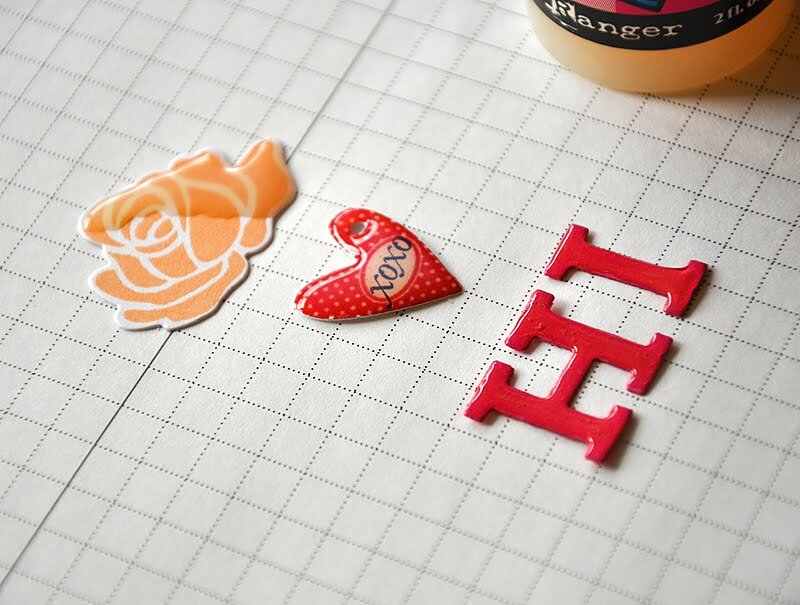 It's a wonderful set and die combo to play around with! Keep in mind that this set will be available for purchase beginning April 15th at Papertrey Ink. Plus, more info and a detail look at these items can be found on Nichole Heady blog today. Modern and clean, with a touch of retro. 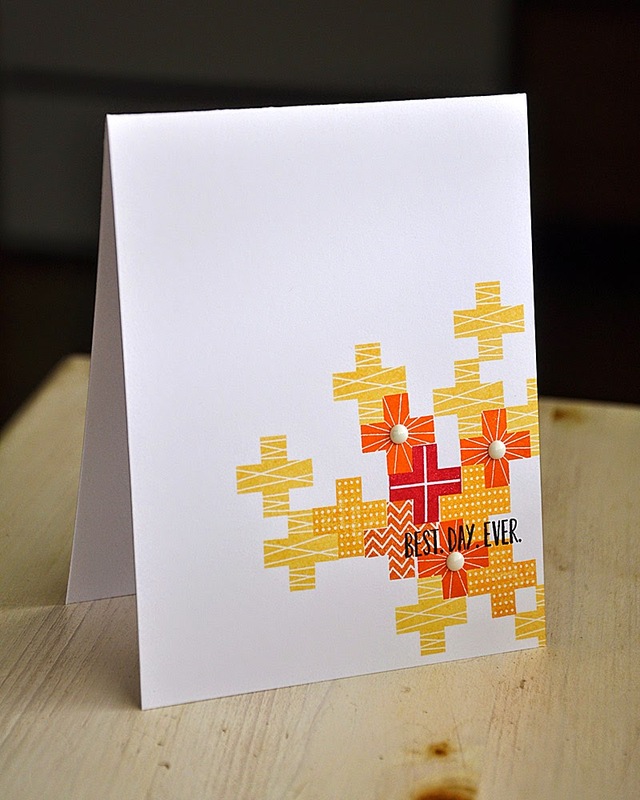 The focus of both the stamp set and die is of course the modern cross, I chose to look past the cross and focus on the squares by popping them off of a color-blocked background. 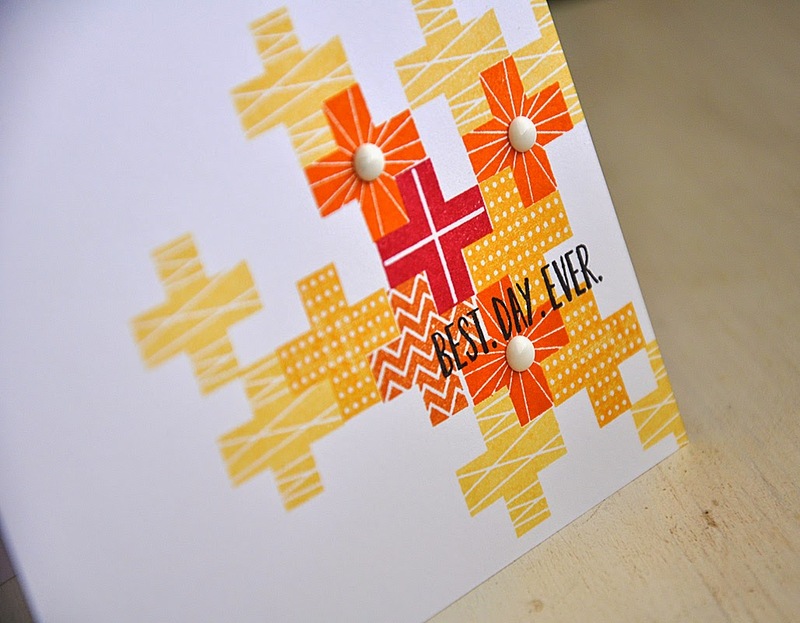 Then finished the card off with a diagonal sentiment panel, stamped with a sentiment from the Doodlie-Do stamp set. After being inspired by this photo here I came up with this design. 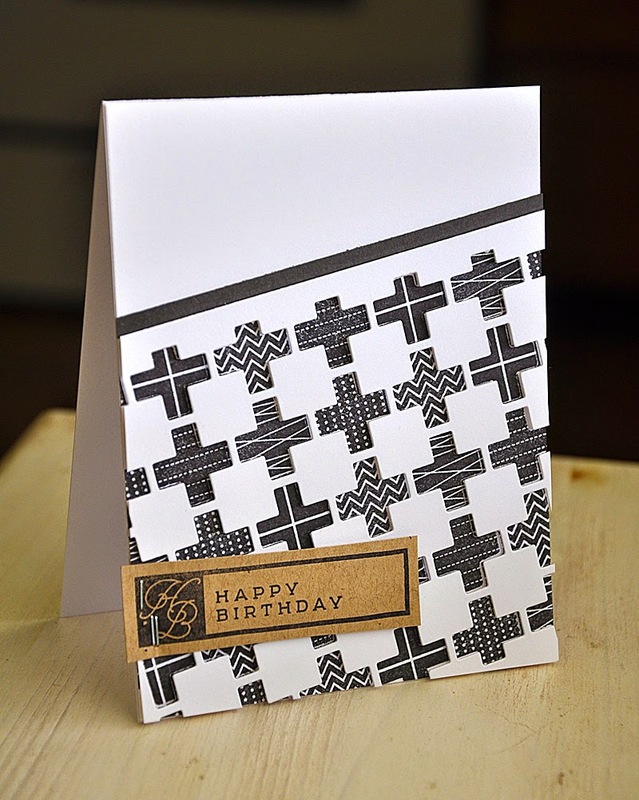 Again playing with a diagonal layout, I impressed (used the die as an impression plate vs. its more traditional use as a die) the cover plate onto the card front and stamped the different patterns in black. 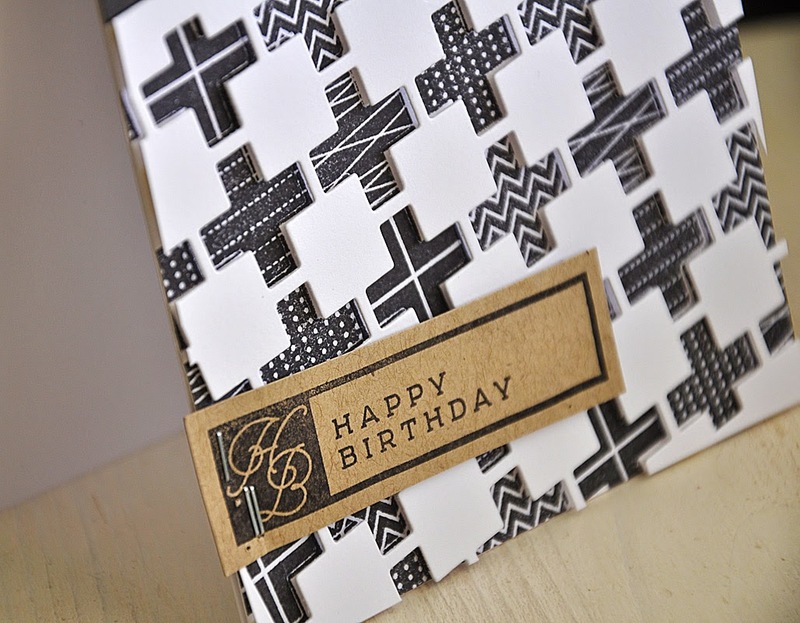 After stamping each cross I precisely placed a die cut panel on top with dimensional adhesive. 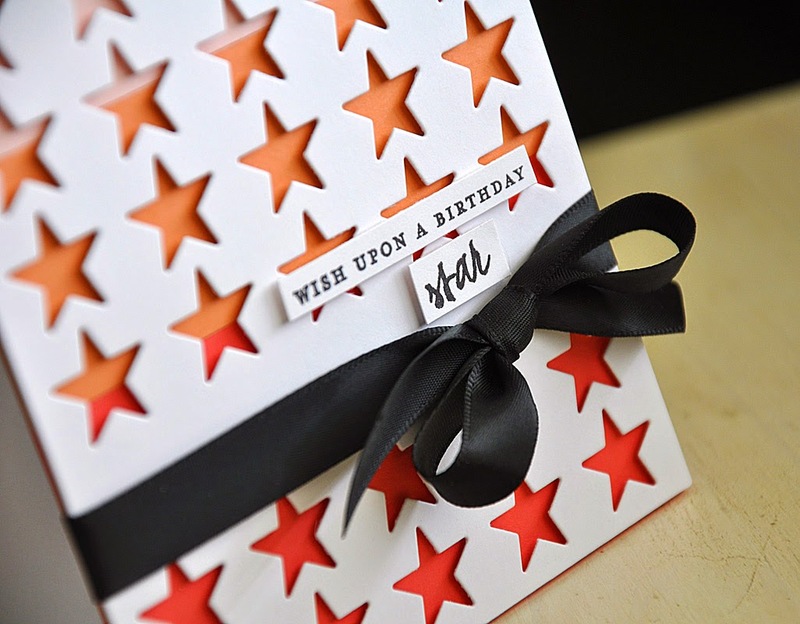 Then finished the card off with a birthday tag, stamped using a frame and sentiment from the new and soon to be released Initial Thoughts stamp set. Stapled into place using my well loved Tiny Attacher. 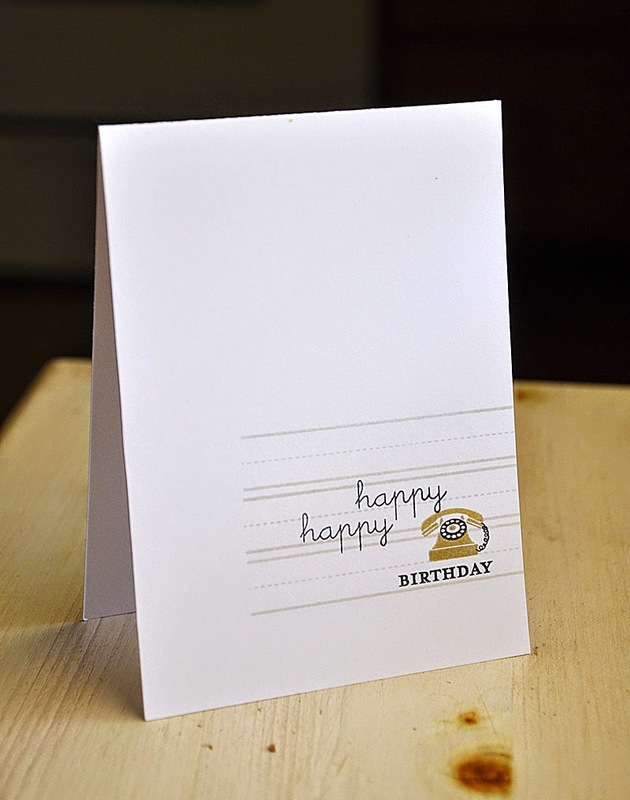 This simple one-layer card was inspired by a Pinterest link I found here. I randomly stamped a grouping in a color combo of pure poppy, canyon clay, orange zest, summer sunrise and harvest gold. 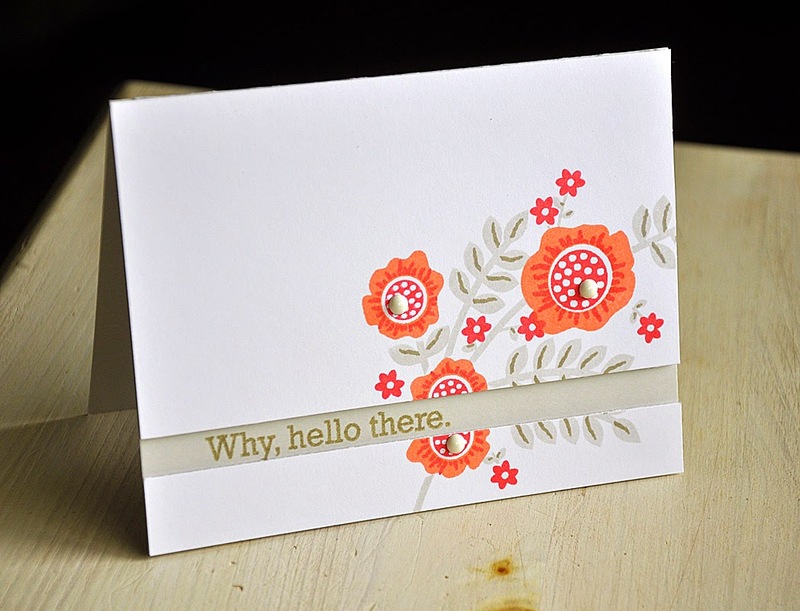 Then finished the card off with a sentiment from the Bigger Blooms stamp set. Well, that concludes today's look at Modern Cross Quilt and Cover Plate Die. Just remember... this set will be available for purchase through Papertrey Ink, beginning April 15th. 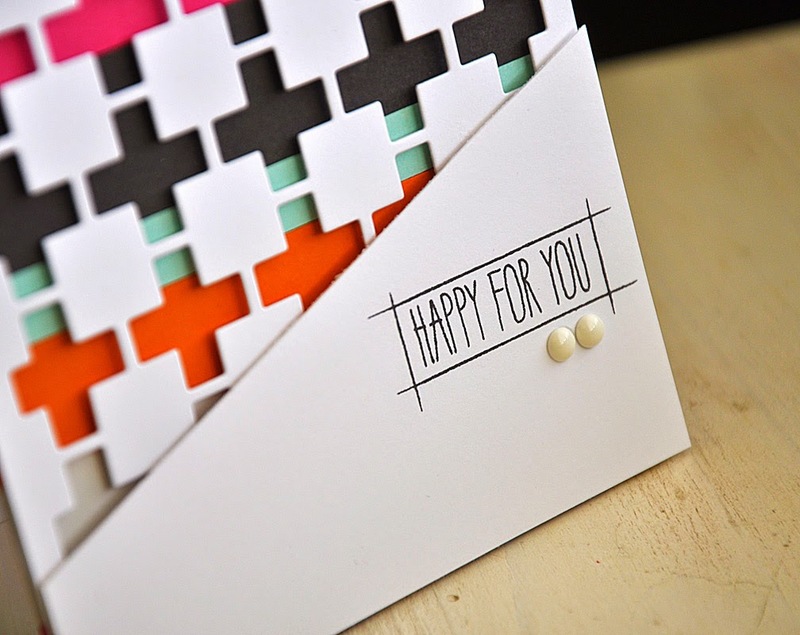 Now, be sure to visit Nichole Heady and Lexi Daly for even more peeks at this stamp set and cover plate. Also, Heather Nichols, Dawn McVey, Melissa Bickford, Erin Lincoln and Lizzie Jones have peeks to share with you of their newest sets and dies for the month. Betsy Veldman and Laura Bassen have even more to share with you today too! Thanks for joining me today for the April Papertrey Ink Senior DT Challenge. 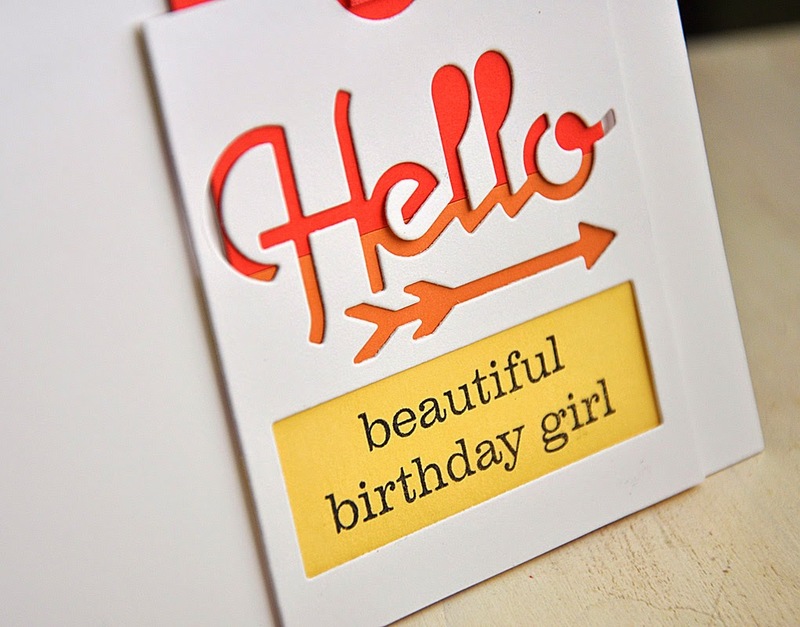 This time around we are bringing back Tiny Tags and its coordinating product! 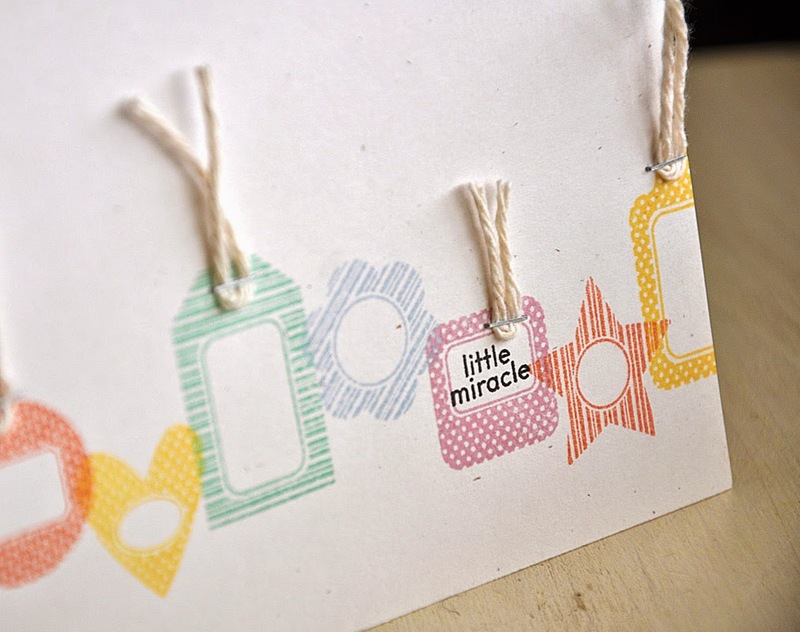 These tiny tags are adorable and so much fun to work with! I'm so glad this month’s challenge got me to unbury these tiny treasures, because these stamps and dies are ones that everyone's stamp collection needs. 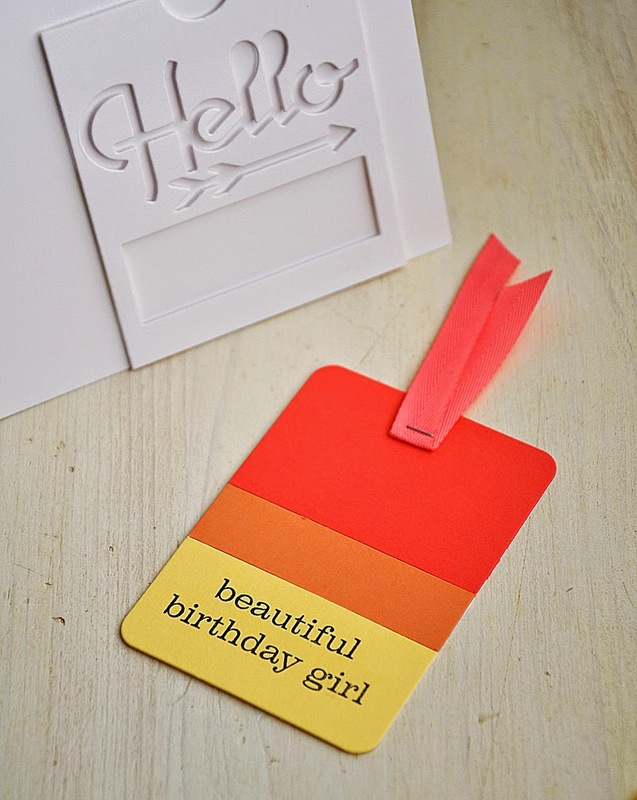 I've got a one-layer card and a fun way to embellish a project using these tags. I hope you enjoy them. 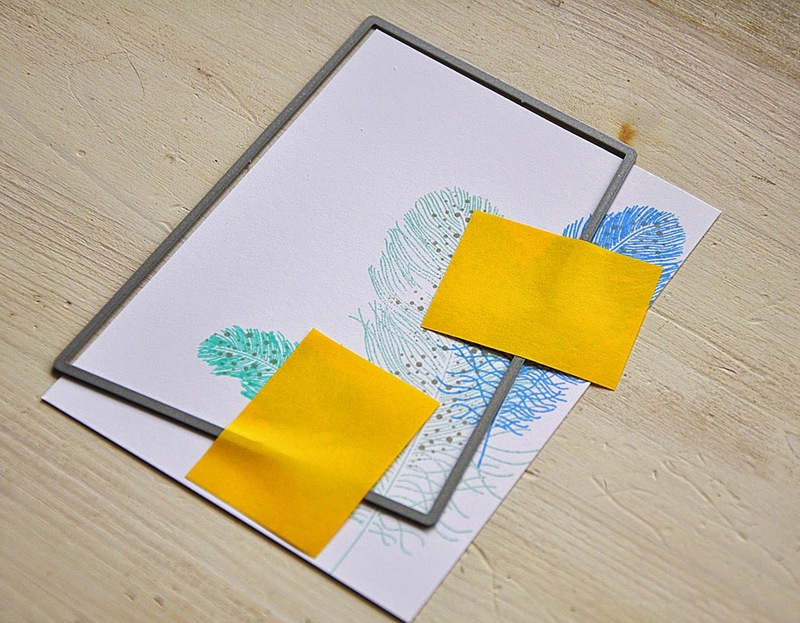 First up, the one-layer card using images from both Tiny Tags and Tiny Tags II. This one was stamped using a soft rainbow of colors... lavender moon, melon berry, harvest gold, aqua mist and spring rain. To add a more realistic look to these adorable tags, I stapled a bit of twine to a few of the tops using my Tiny Attacher. Then finished this rainbow pastel card with a sentiment perfect for welcoming a little one into the world. 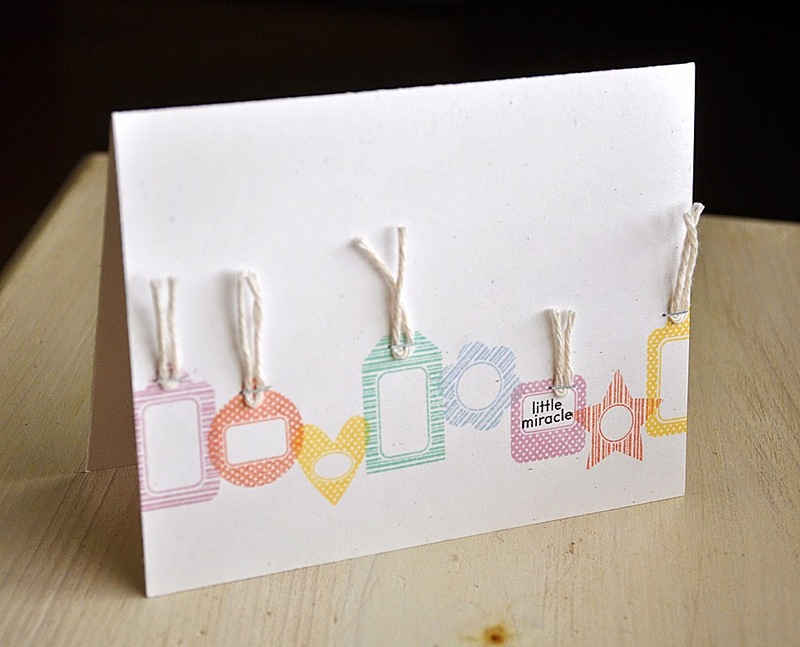 These tiny tags make perfect color coordinated embellishments too! 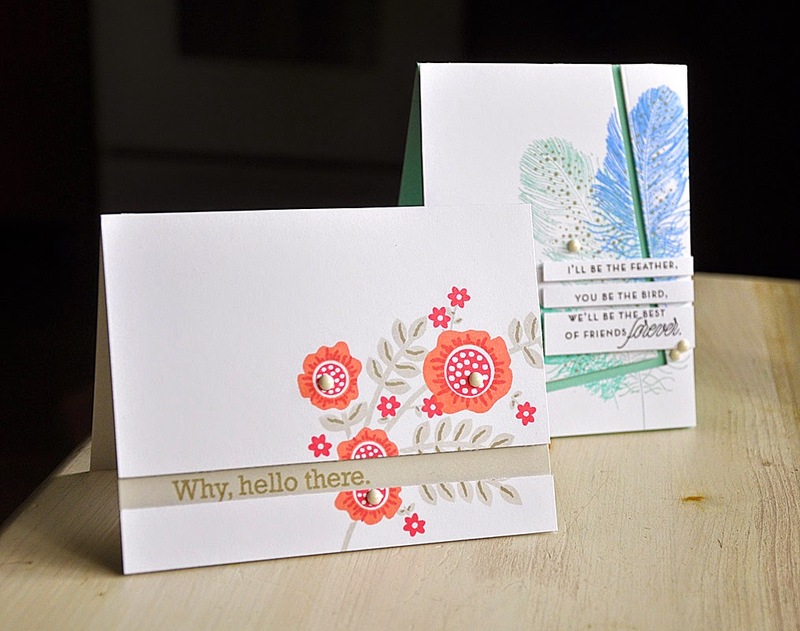 I die cut and stamped these three in melon berry, sweet blush and harvest gold. Then tucked them in behind the edge of a die cut panel. 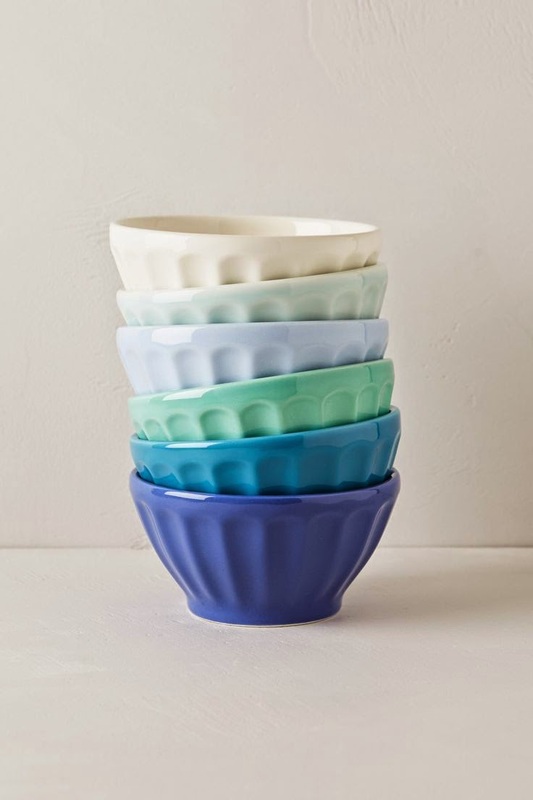 This trio makes the perfect pop of color to accent the Wet Paint sentiment.